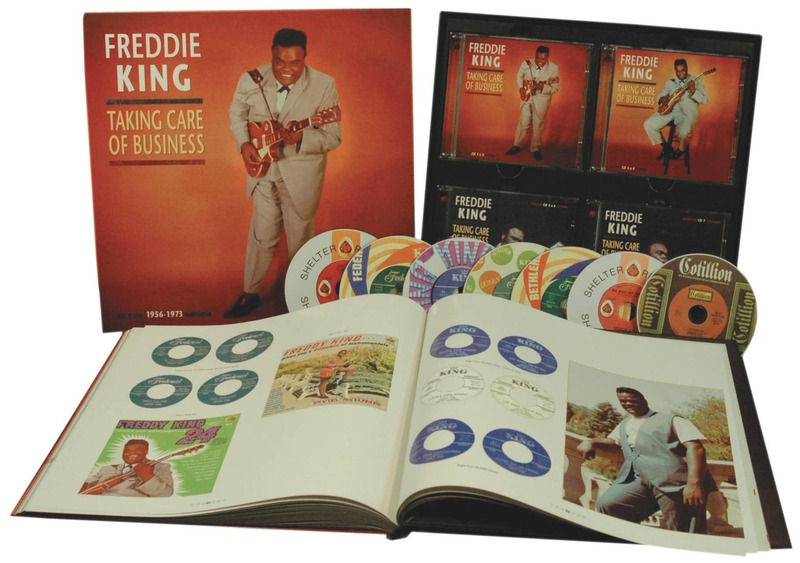 7-CD Box, LP-size, 104 pages hardcover book, 168 tracks, playing time 549:28 minutes. J. B. Lenoir's The Mojo (available in no other studio version). Incredible unpublished photos and memorabilia plus comprehensive liner notes from Bill Dahl! 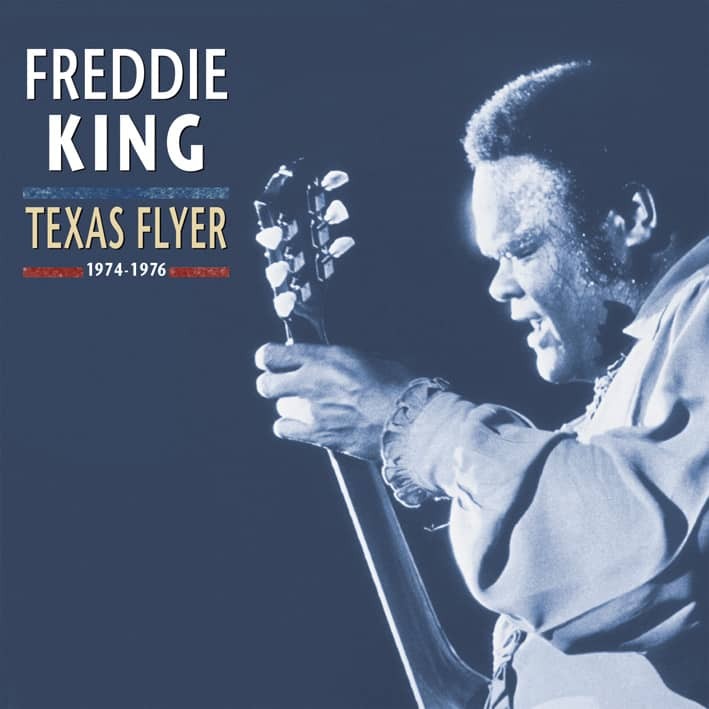 Freddie King, the legendary Texas Cannonball, was one of the greatest blues guitarists of all time whose fiery style laid the foundation of modern rock guitar. 'Rolling Stone' placed him #25 on the 100 Greatest Guitarists of All Time because he profoundly influenced Eric Clapton, Jeff Beck, Stevie Ray Vaughan and many others. 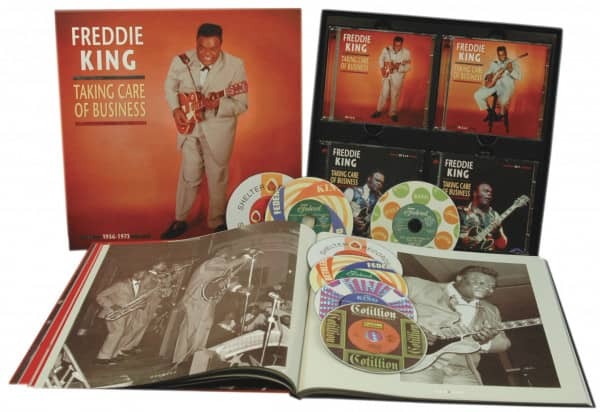 Of the three seminal postwar blues guitarists answering to the name of King, Freddie King brought the highest energy levels to his studio exploits and probably influenced most rock axemen of all. Freddie Kings innovative Texas/West Side Chicago hybrid approach was absolutely unique, and his double-threat hitmaking career as singer and instrumentalist was unmatched. No blues guitar god ever threw more of his muscular physique into his incendiary fretwork. 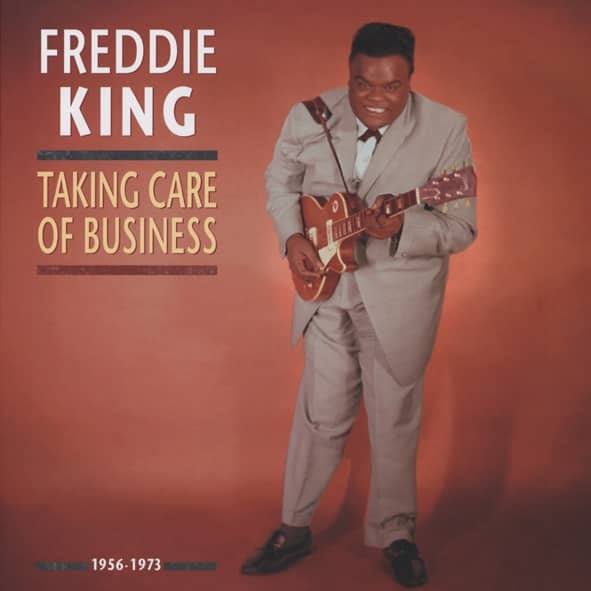 And what a commanding, emotionally charged voice Freddie King had! 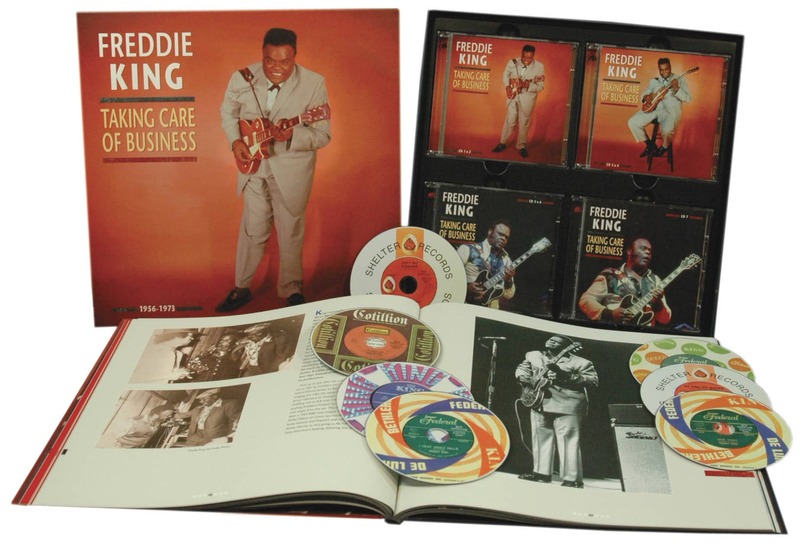 This epic collection is the ultimate tribute to one of the most influential blues guitarists the genre has ever seen. Nothing like it has ever been attempted, and no dedicated blues fan can live without it! 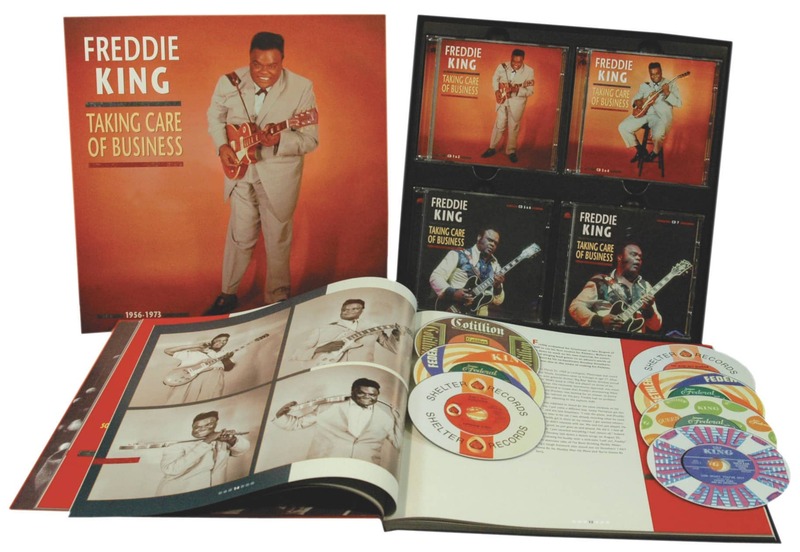 Customer evaluation for "Taking Care Of Business 7CD Box 104-Page Book"